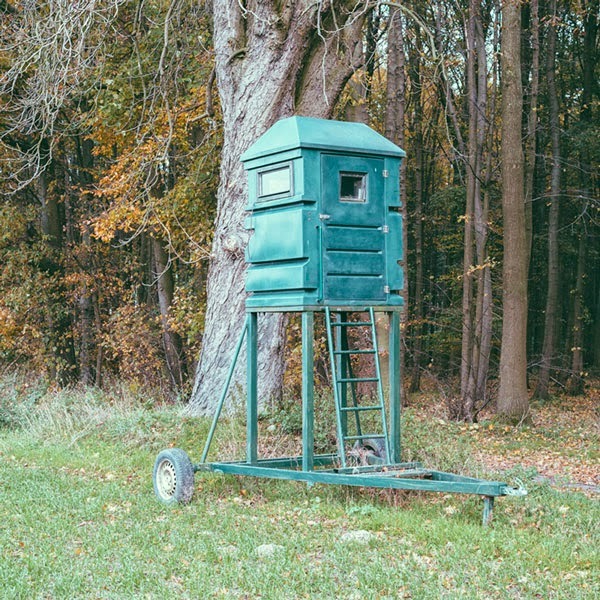 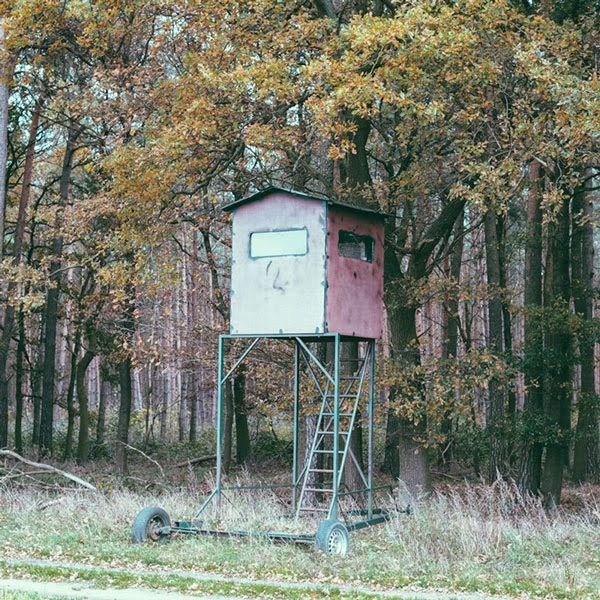 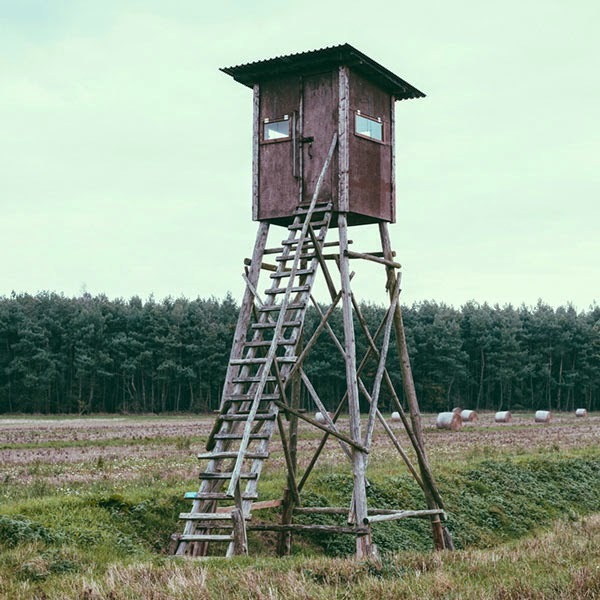 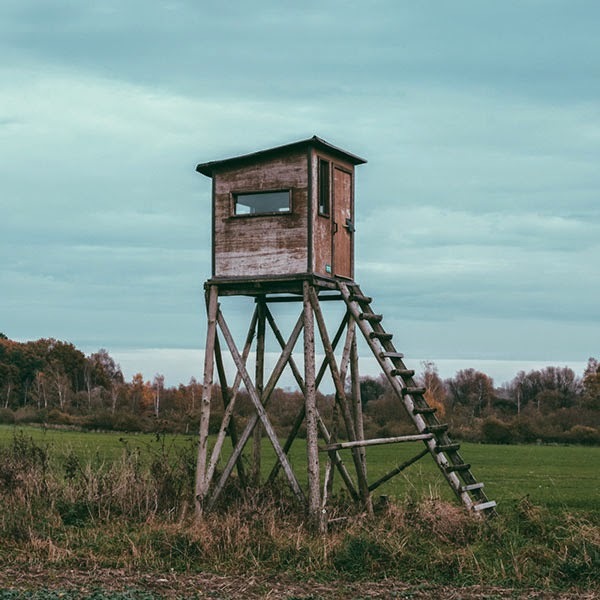 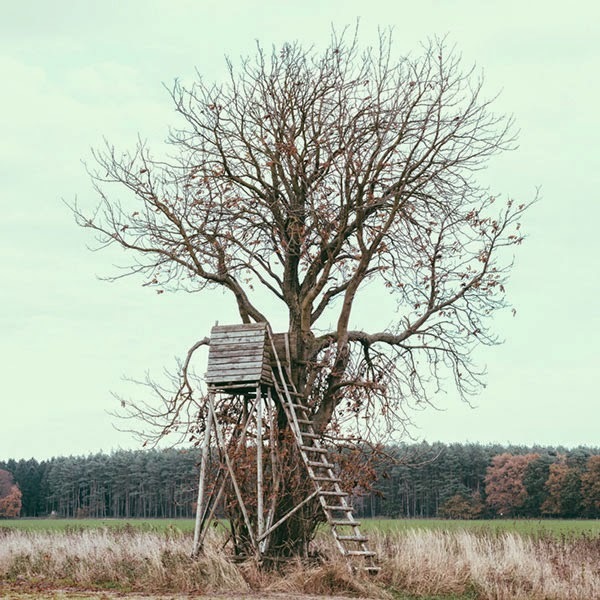 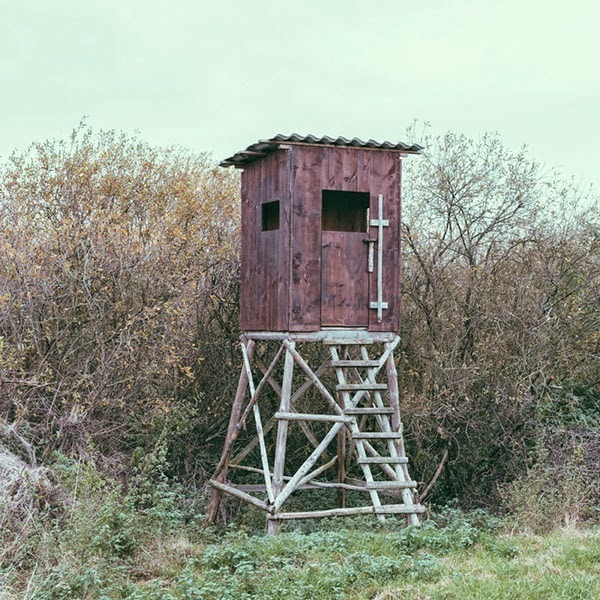 A series of photos of lookout points or shelters used for hunting. 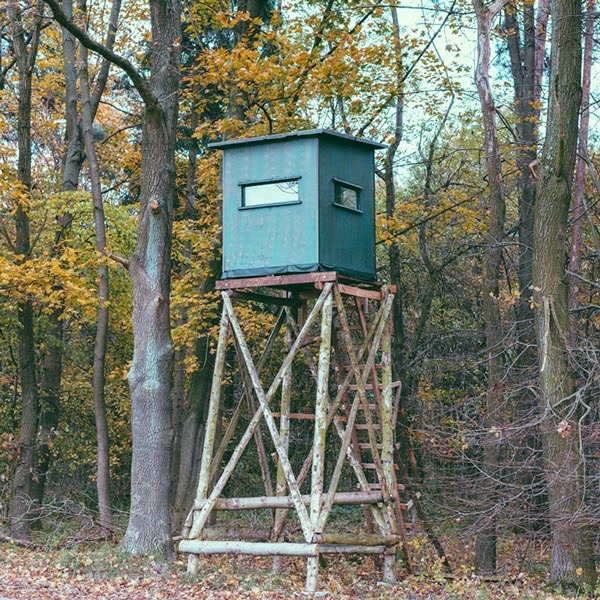 The mobile ones are interesting in that you can attach them to a vehicle and practically drag them anywhere. 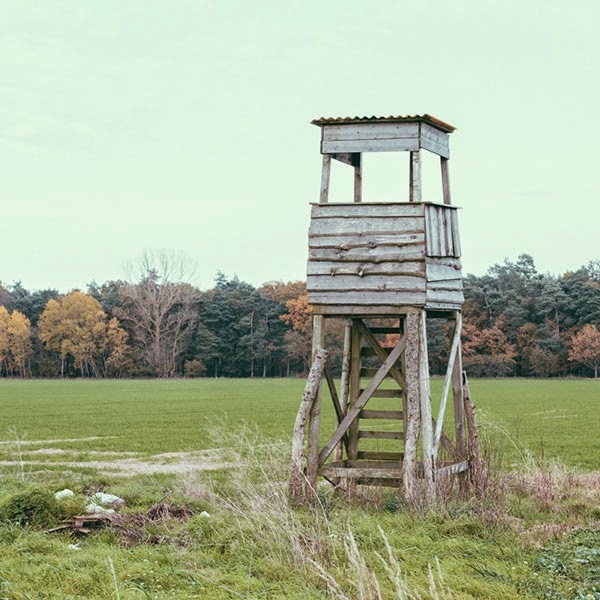 The series was inspired by the photos of towers by Bernd and Hilla Becher.